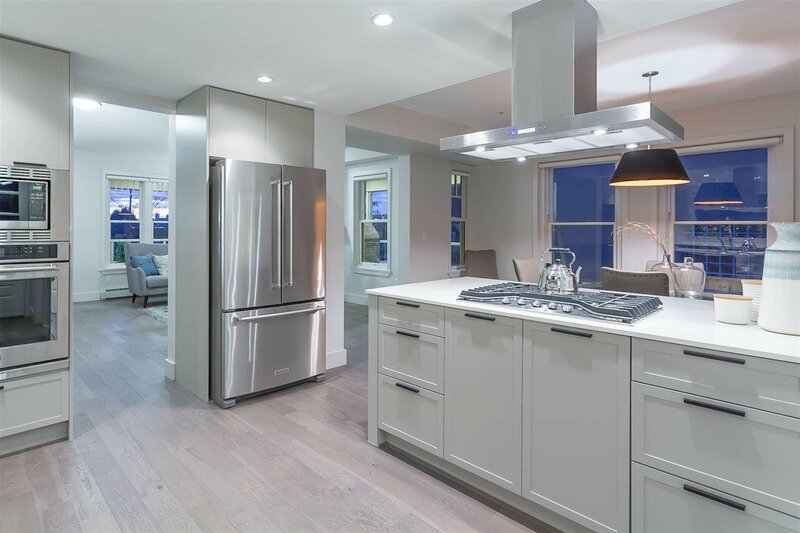 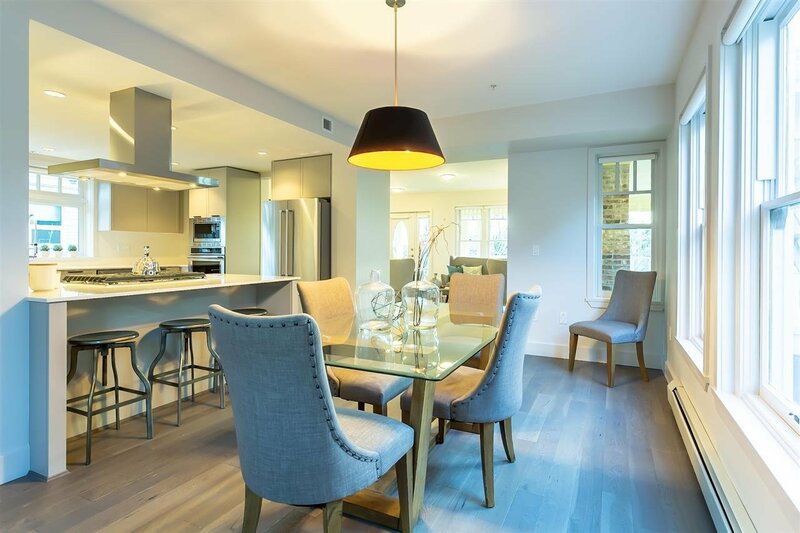 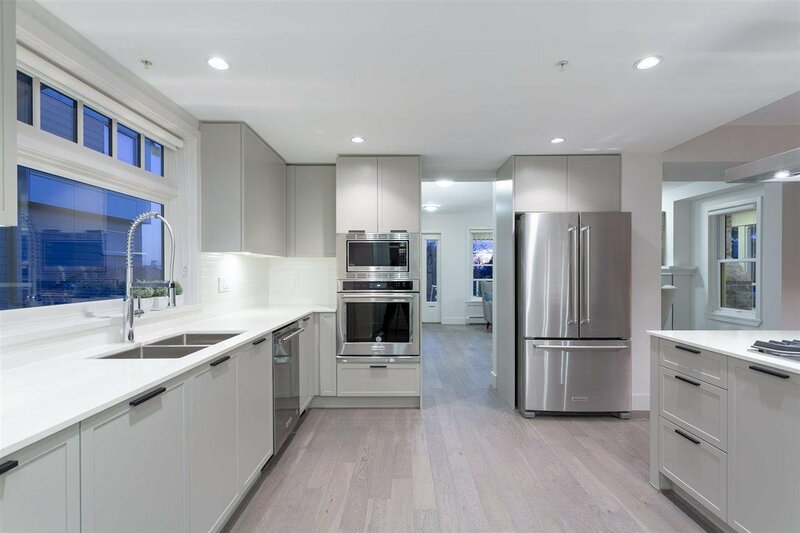 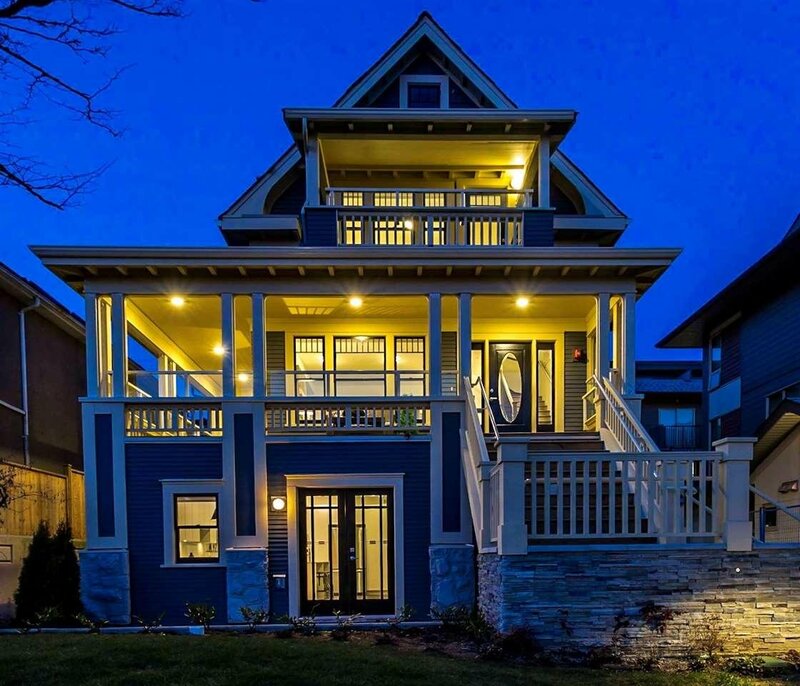 The handsome 1911 Kings Residence has been fully restored & transformed into a brand new home. 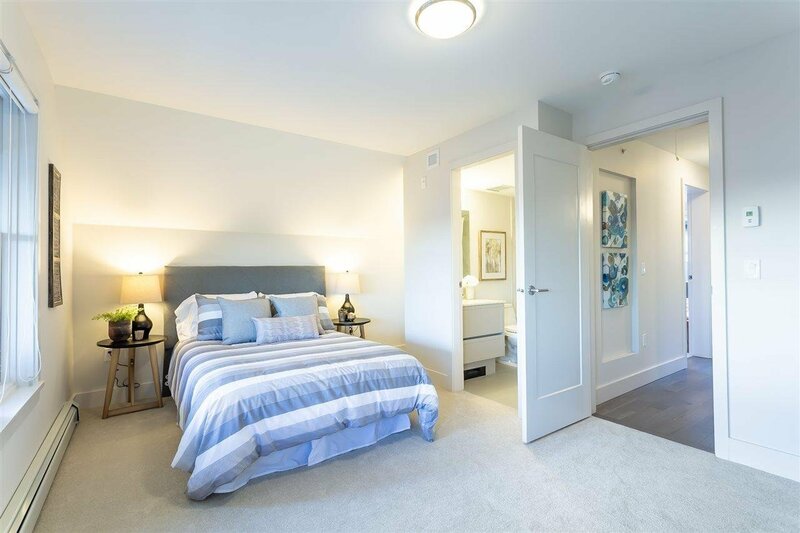 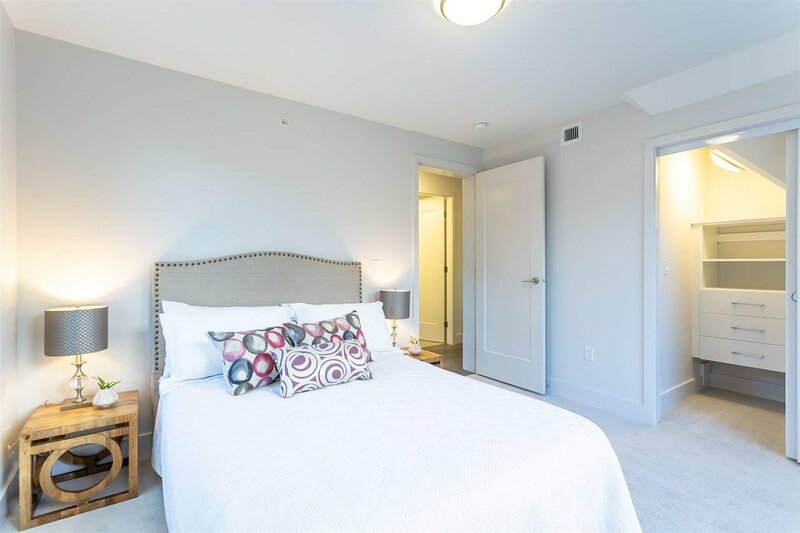 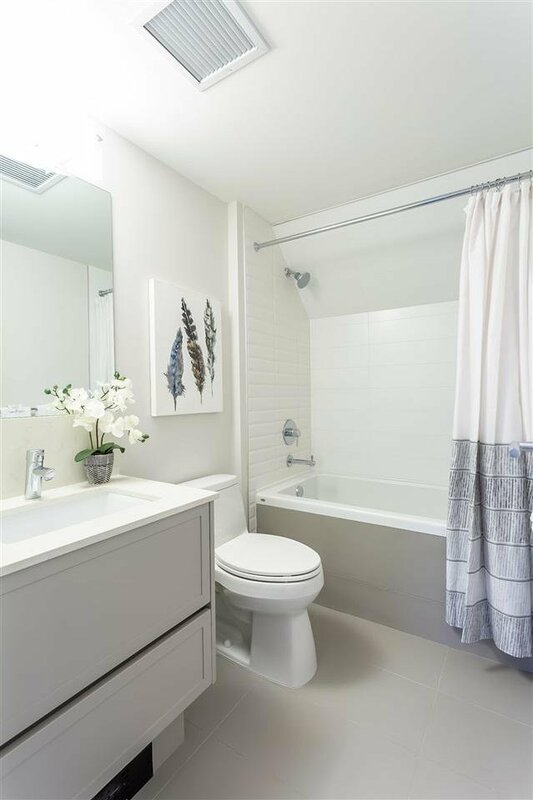 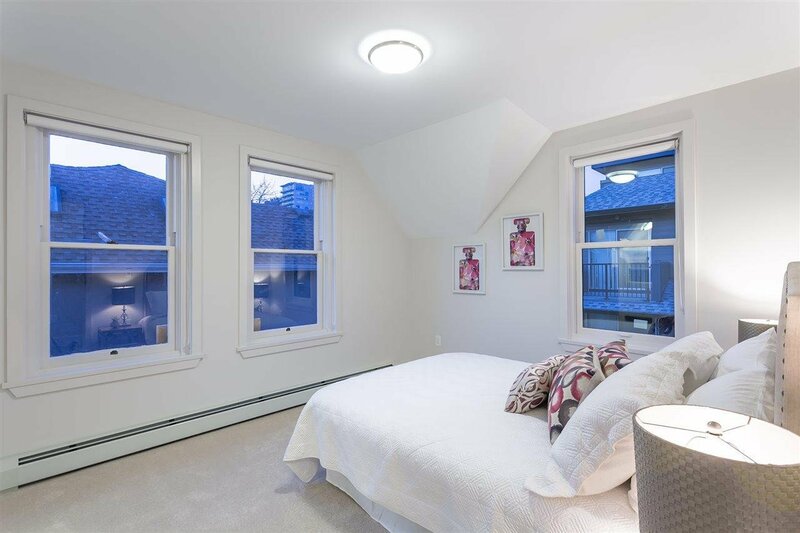 This upper unit includes two floors of living space w/ a bonus 350 sqft attic & 90 sqft storage room. 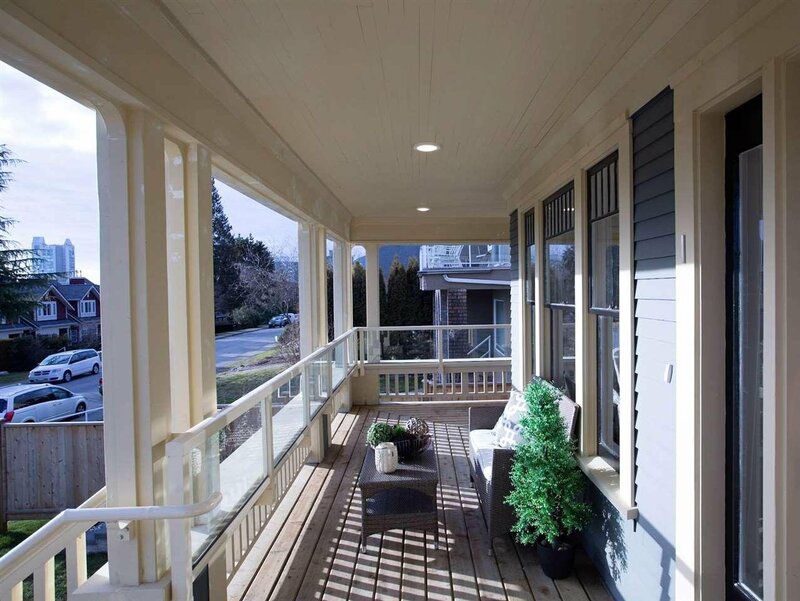 Heritage features include original sash windows, high ceilings & wrap around verandah. 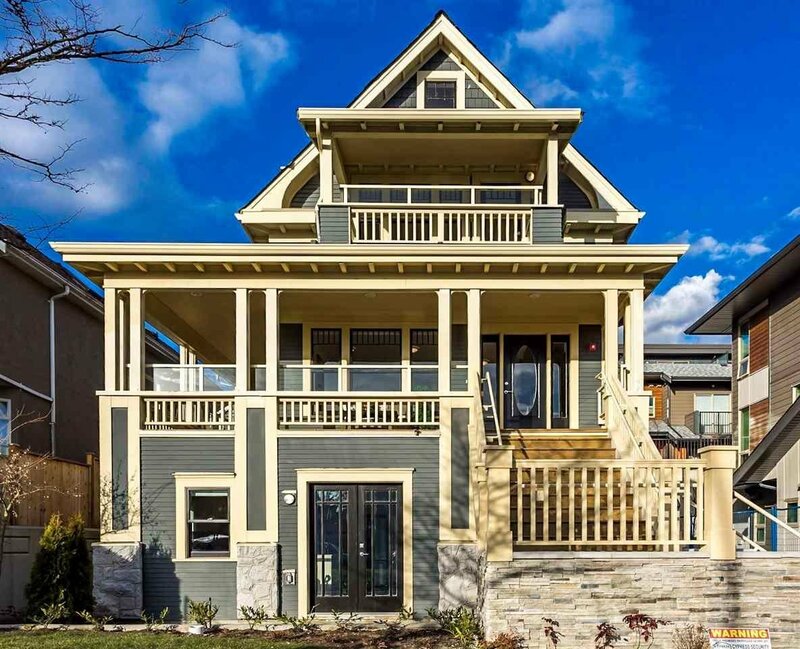 Main floor has large principal rooms, bright south west exposure, contemporary kitchen with stainless steel appliances & gourmet gas cooktop, rich hardwood floors & a large rear patio perfect for bar-b-q’s & summer dining. 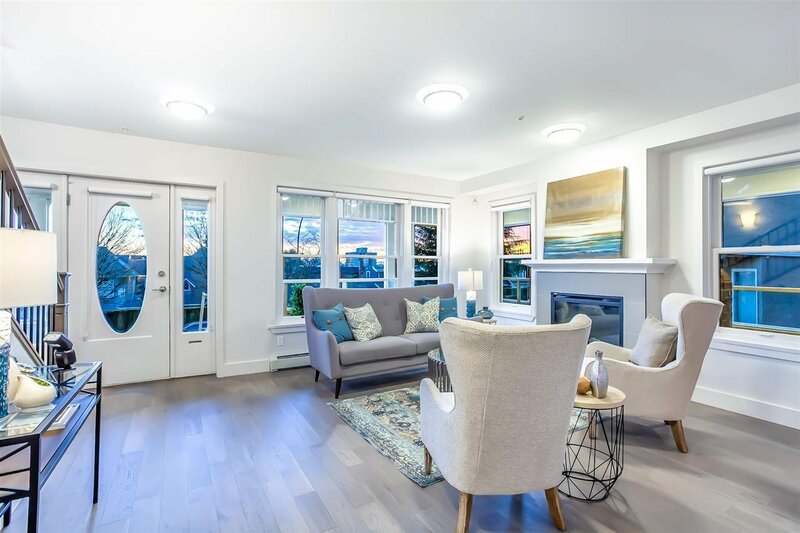 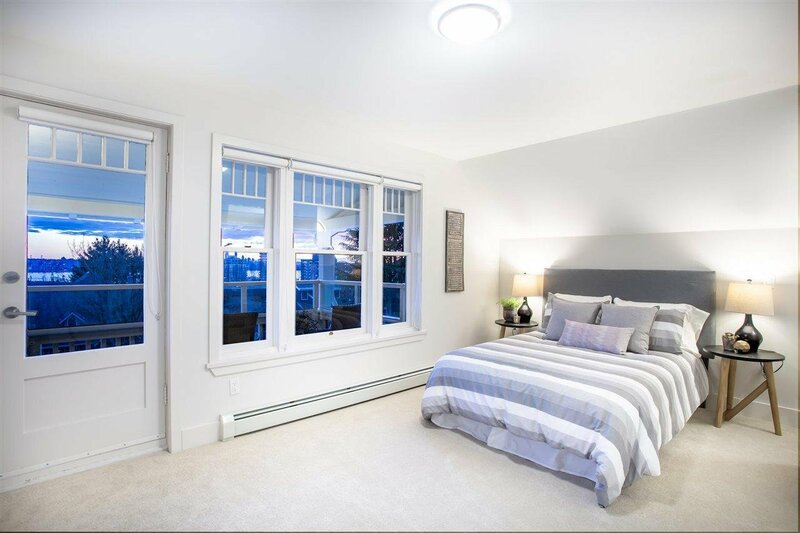 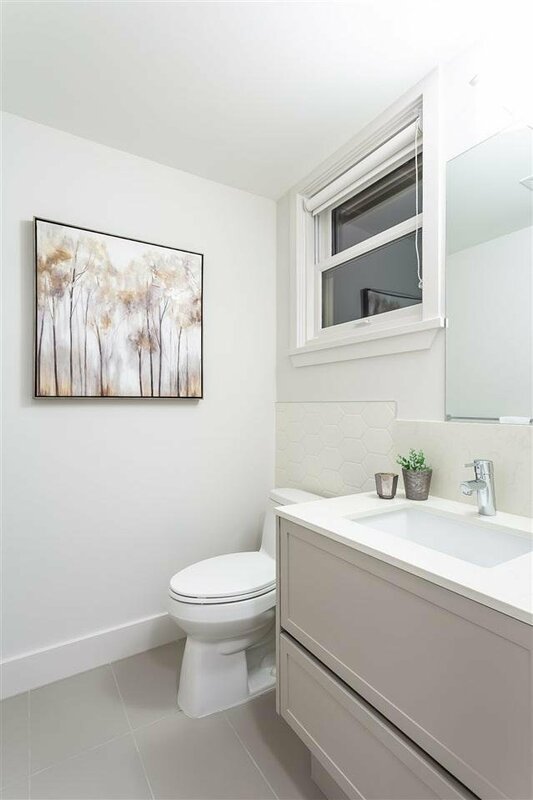 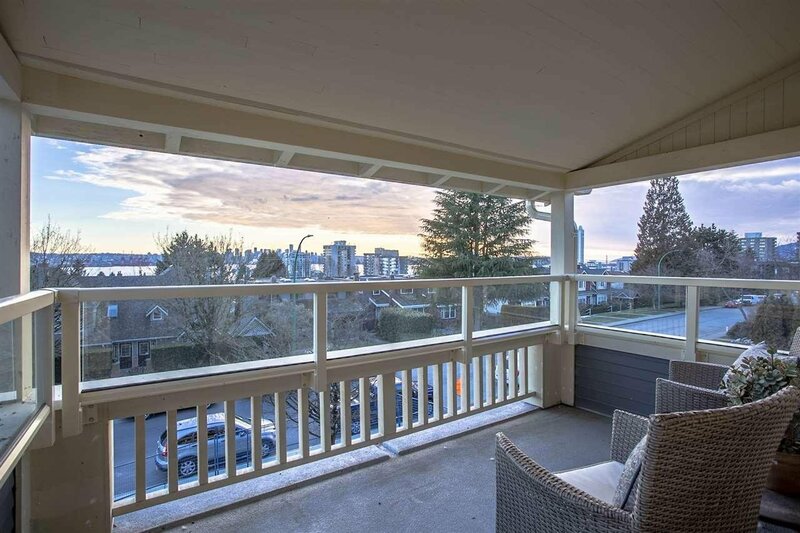 3 bdrms up including a south facing master with ensuite & covered deck with views of the City & Lions Gate. 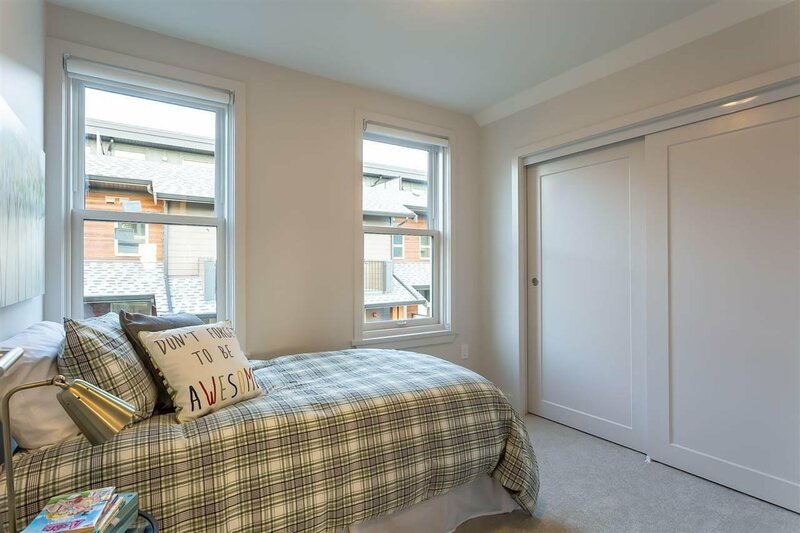 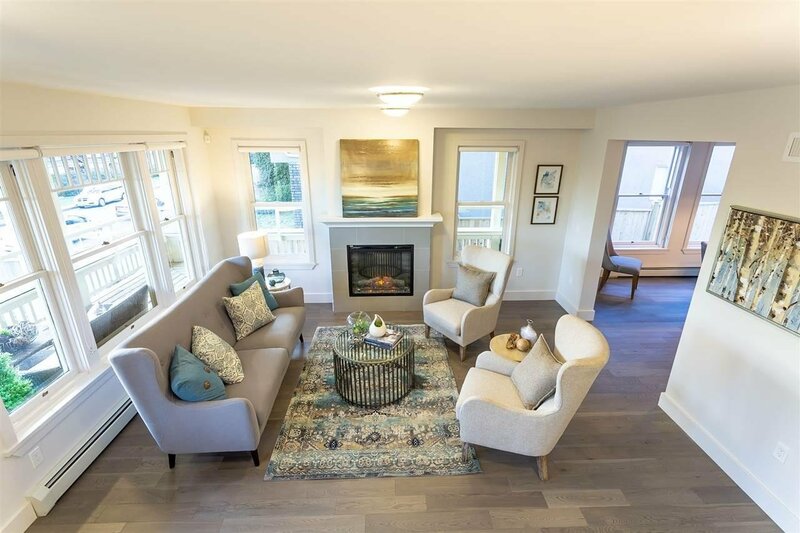 Enjoy the character of a heritage home with the peace of mind of new construction, and the convenience of built-in vacuum, radiant heat and 2 parking spots.